Ms. “B” in Missouri City desperately needed cover for her precious. They were just burning up in this Texas heat. This is a pretty big cover. It’s 20′ x 32′ Insulated patio cover that is free-standing. You can barely see Bryan and our happy homeowner in the second picture. She’s happy and her plants are happy. Patio cover in Missouri City looks very good in the black poles! We have area that is 21 x 32 , the 21 sides and the 32 foot side would over look the pool. Like to get a quote. The slab is being poured next week. 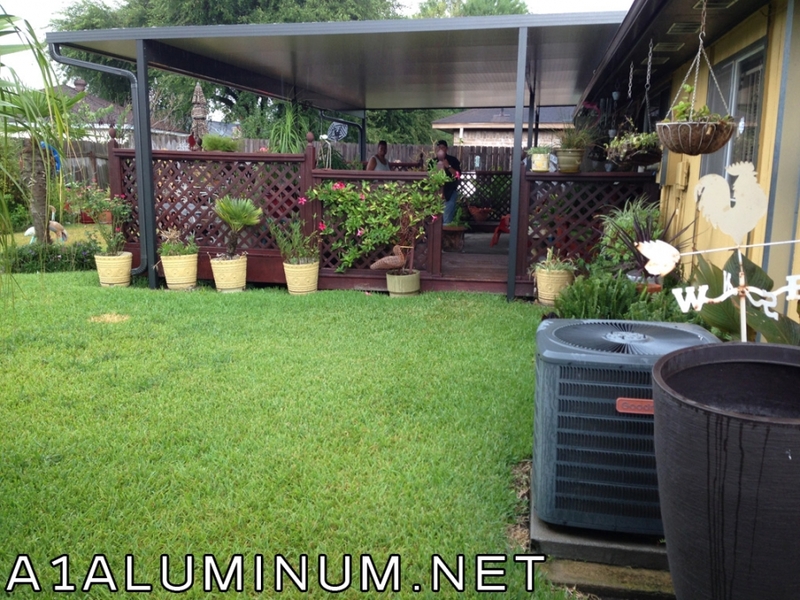 Mr. “W” in Baytown got 2-steel patio covers tied together. For Mr. “W” we installed a 17’x20′ steel carport with PBR panels light stone color reverse roll. This is a playground paradise for kids. It’s a fort with some playground equipment like a slide. And now it’s covered with a steel deck cover. We used the existing wooden posts. If you don’t like gutters, this is the style for you. 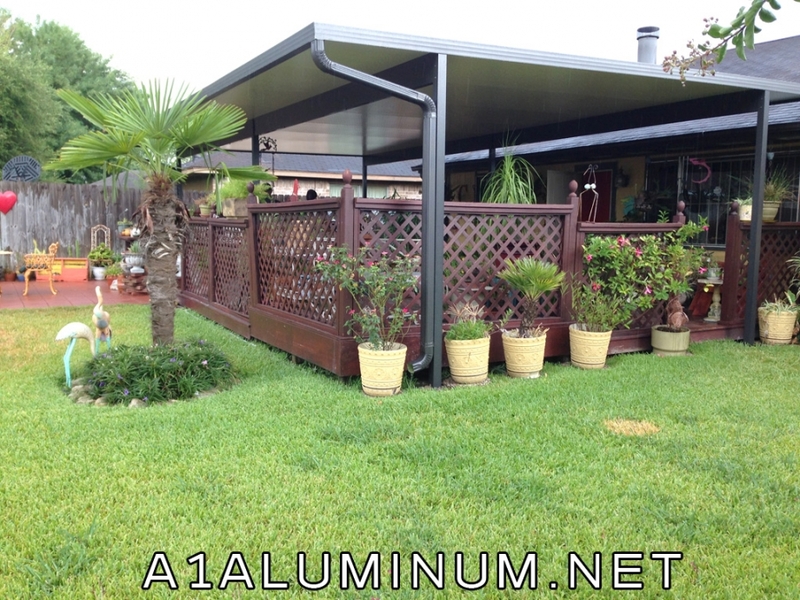 This carport has a false front (see image #2) on it to trim it out but leaves and water just go right through. No gutter to clean. The pans are aluminum flat pans. Mr. “P” was really happy with his new carport.